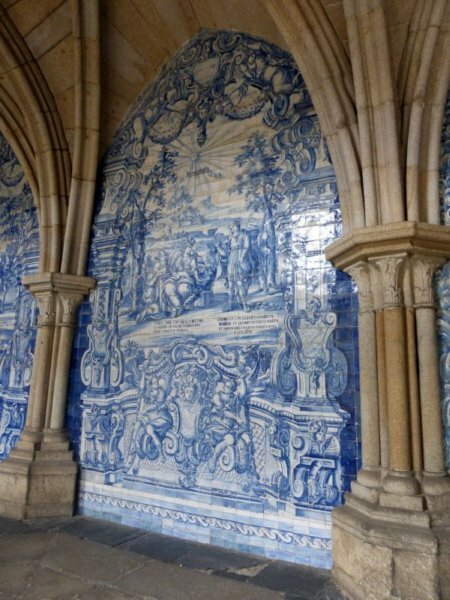 After the Gothic severity of Porto's cathedral, the light- and tile-filled cloister was a very pleasant surprise. It also housed an interesting collection of religious art and artifacts, including a mysterious silver hammer (which, it seems, may have had something to do with a jubilee). (c) 2015, Jessica Thompson Blatz. All rights reserved.